The Regent Honeyeater Project has established itself as one of the most active volunteer conservation projects in the nation. It has engaged a whole farming community in restoring remnant box-ironbark habitat for the endangered species still living in the district, and attracted ongoing support from a wide cross section of the community to help farmers with the on-ground works. Propagation and planting days are organised each year for a thousand students from more than 20 local schools and hundreds of volunteers from universities, walking clubs, church groups, bird observers, scouts, environment groups and the like. 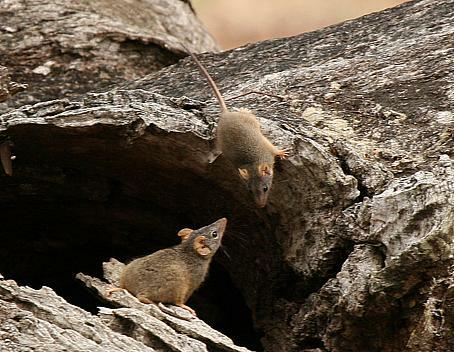 A range of other activities such as nest box placement and monitoring provide crucial habitat for rare mammals as well as valuable motivational experiences for visiting groups. The massive scale of our tree-planting work has enormous benefits for landcare as well as for wildlife. Almost 900 hectares of restored habitat is reducing salinity and erosion problems, and improving water quality, stock shelter and natural pest control. It really is a demonstration of the changes needed for ecologically sustainable development. There is a lot of good news to share about our joint achievements in the past, and the big plans we have for the coming year.